No pressure, no pain, no pulling! 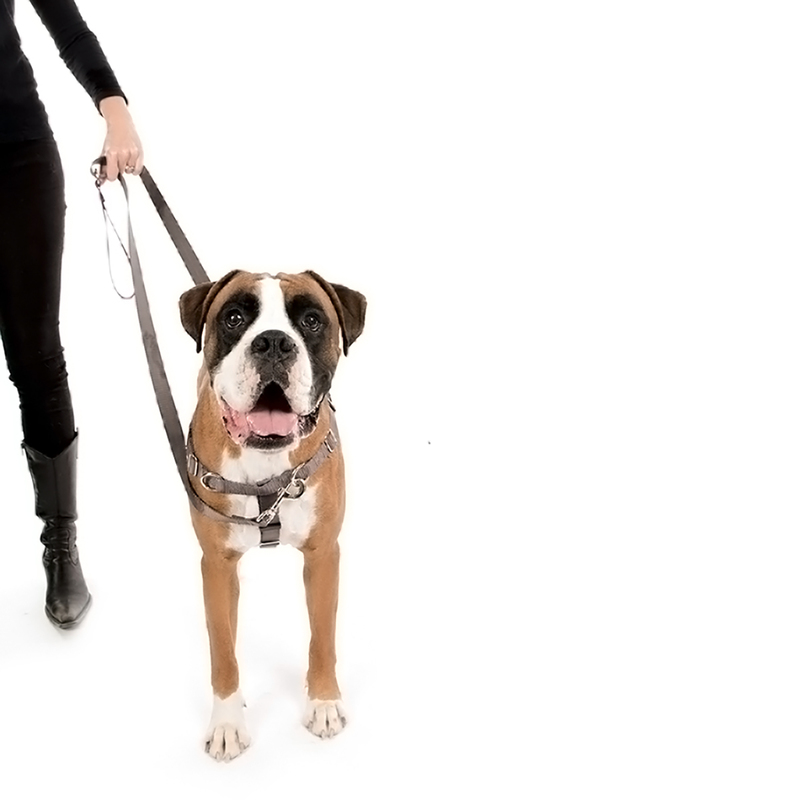 Use this newly re-designed harness to teach your dog without pain or discomfort to stop pulling on the leash with Victoria’s force-free positive training methods. 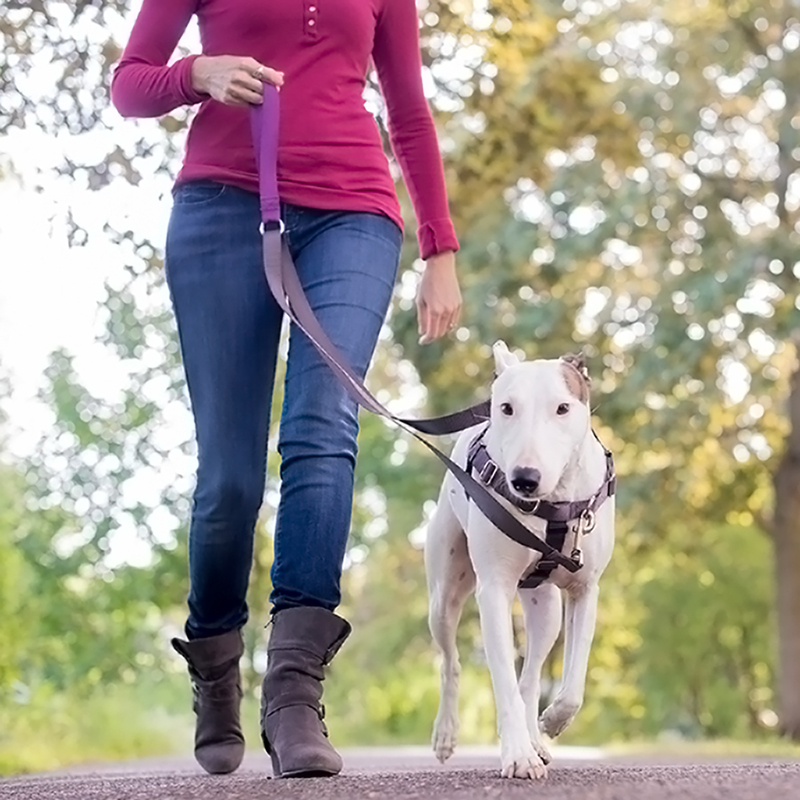 Help your dog learn to make the right choices… Positively! 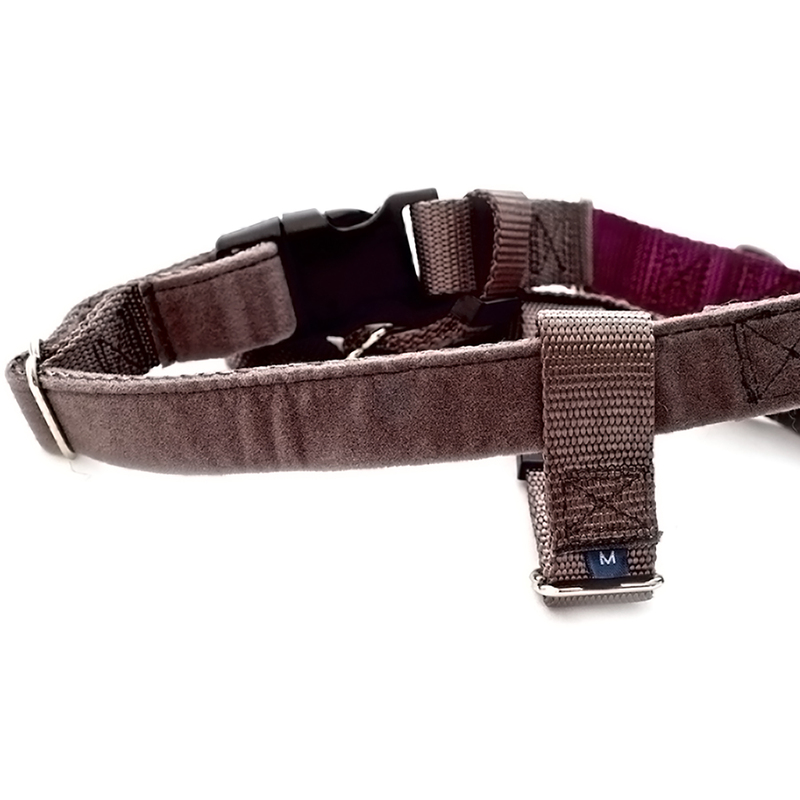 Featuring hand-sewn, high quality, durable nylon and velvet fabric, the Positively No-Pull Harness comes with a lifetime warranty and has been specifically designed by Victoria for ultimate effectiveness while maintaining comfort for your dog. 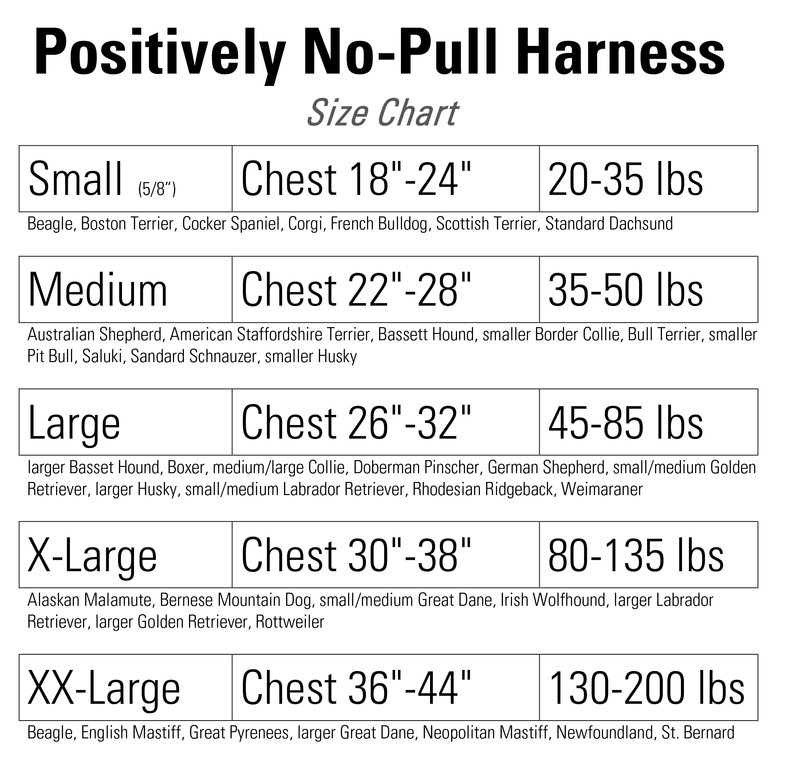 I have a 2year old lab and I’ve found this has been super helpful. It’s also attractive and looks good on him. I’ve tried other varieties but they always pulled to the side and would irritate under his arms. This stays centered and works so much better. This harness is amazing! There’s no pulling ( I have a 60 lb. Aussie) and we both enjoy our walks much more. She walks at a heel perfectly, and seems happy to do so. There is no discomfort to her at all, she gets excited when I get the harness out, to her it means we’re going to do something fun. I would recommend to anyone , in fact I have suggested it to friends. I use harnesses on my XL Dobermans. They are high drive dogs who respond better to a harness than any type of collar. The double snap front is proving to be effective in managing our 90 lb. pup whose crazy sense of humor and gleeful spirits put springs on his feet. I love this harness! It made a huge difference from the first time that we used it. I could not believe it. I have a 7 month old, 58 lb English Labrador that has been resisting her training. 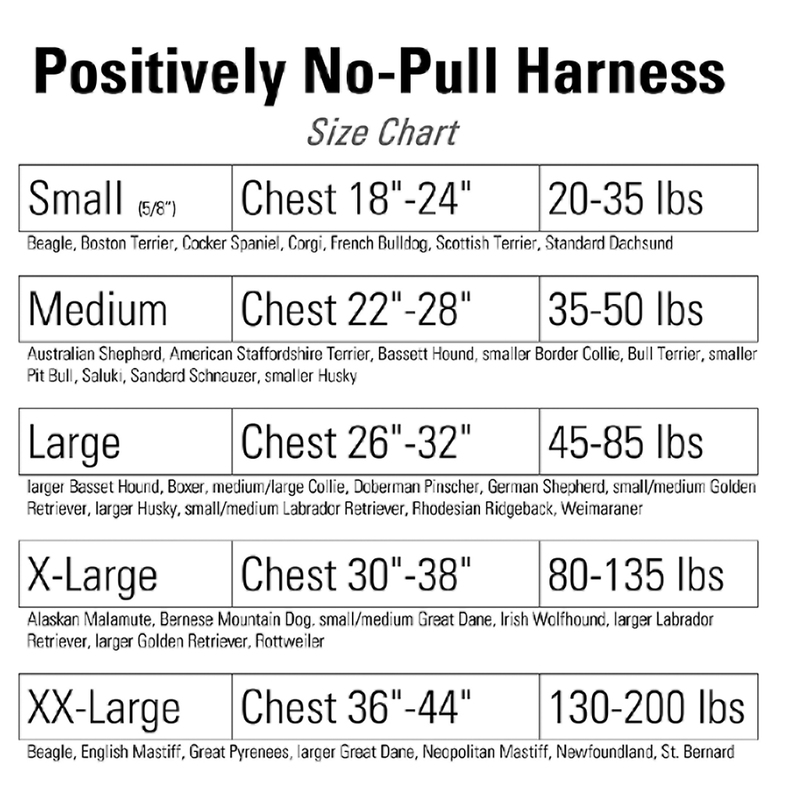 This harness has helped a lot. We are already taking longer walks and our Ellie seems happier, too. 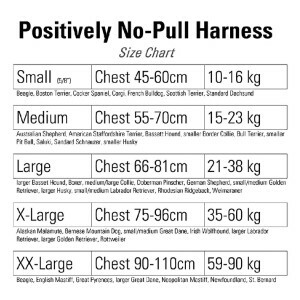 This is the third no pull harness I have purchased. It's the first one that actually works. Walks are much more fun now. Highly recommend if your dog is a puller. 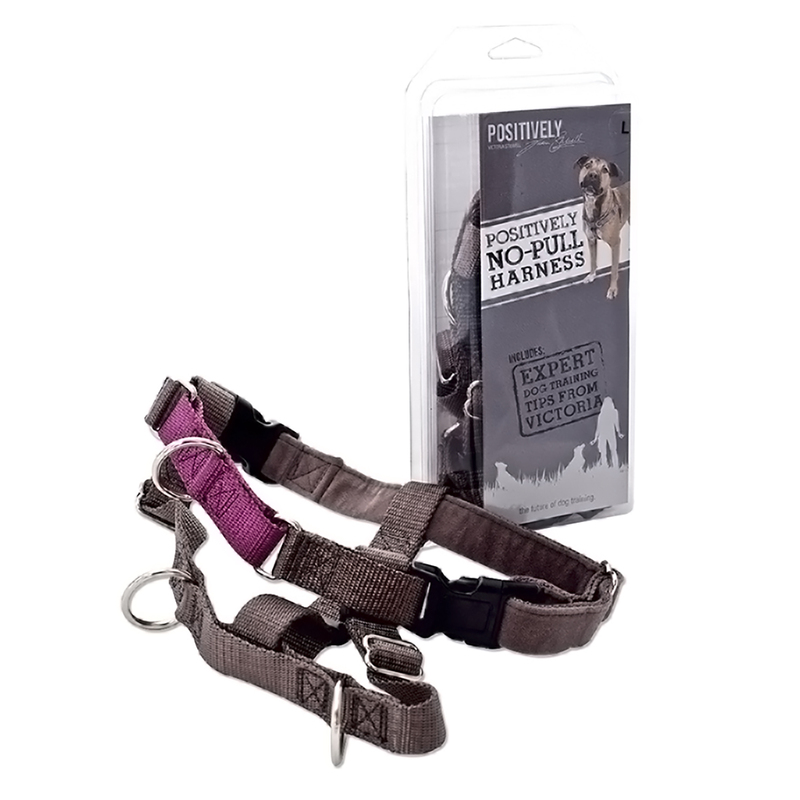 We have been using it for a couple of weeks with a one year old Newfoundland, who is an excited puller. 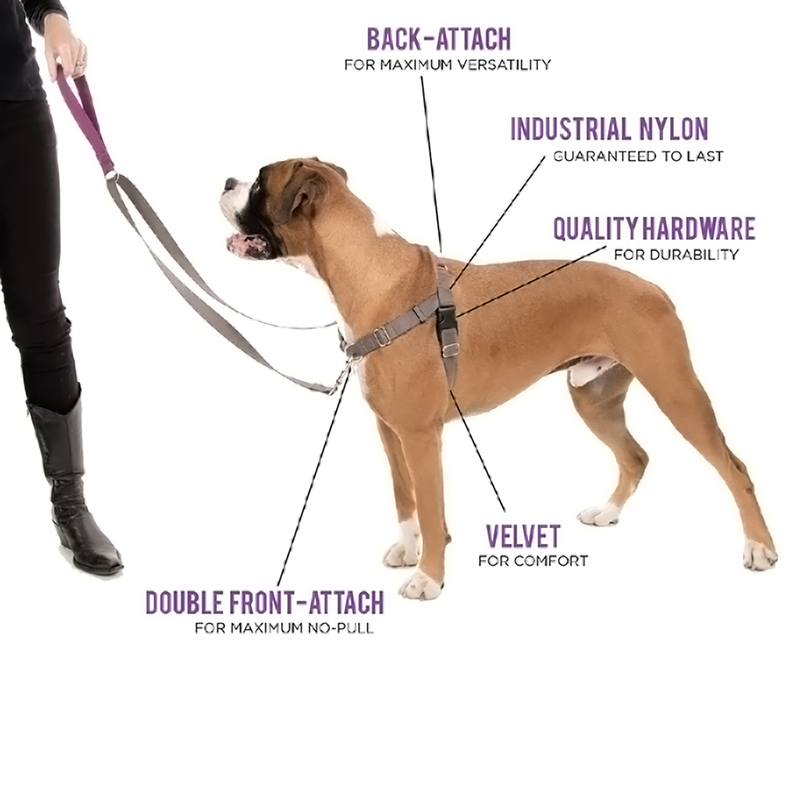 The dual hardware for clipping on the leash is a genuine improvement over the single point. My husband and I are going on more walks and fewer "drags" which I hope will become better for everyone over time. And all design elements seem well thought out for ease of use and durability. The harness itself is excellent. My 3 year old male German Shepherd walks well and feels secure when he has the harness on. It definitely reduces pulling most of the time and is easy to use. 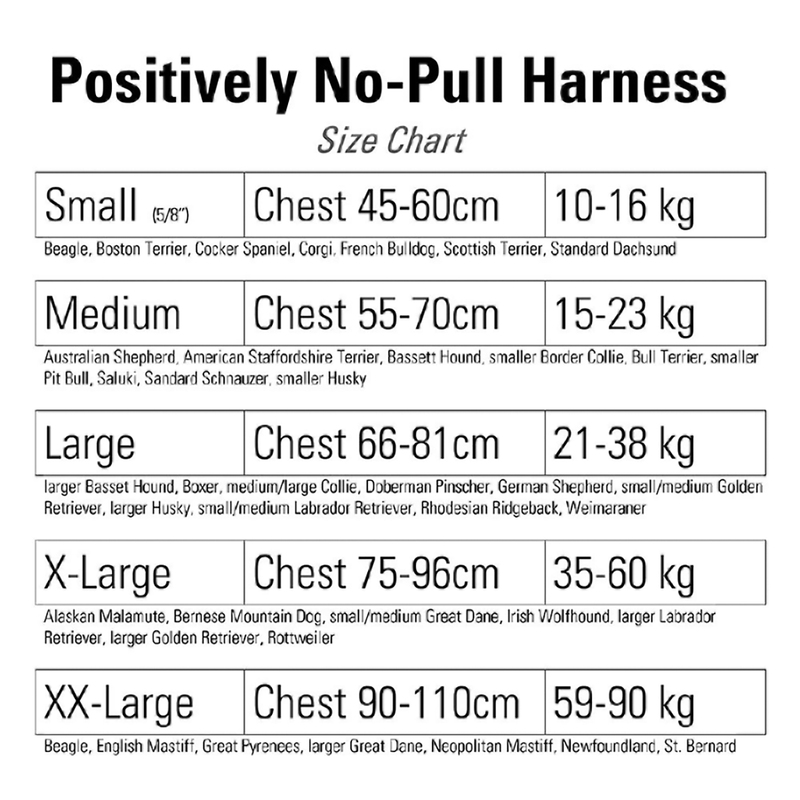 Initially I bought the Large size as the website said that would fit a German Shepherd, but he quickly outgrew it and we had to purchase the X-Large size...this makes is a very expensive harness indeed! 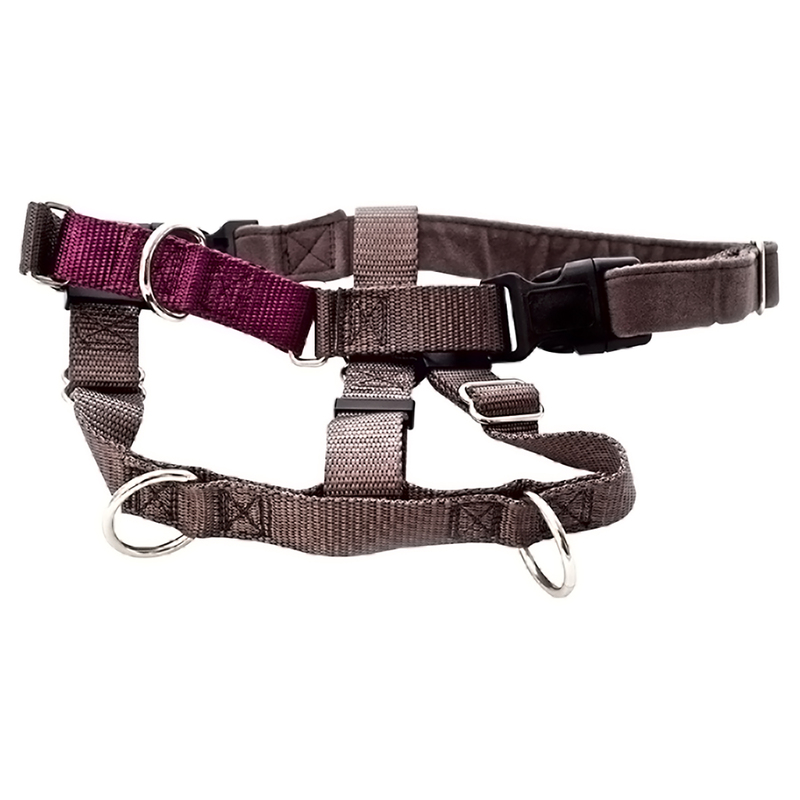 This harness is a little more comfortable than the FREEDOM NO-PULL HARNESS ( which does include the double leash ). Its effectiveness in controlling the K9 from pulling is about the same. If, you like spending money and paying extra to buy the double leash ....this POSITIVELY NO PULL HARNESS is for you. The harness is amazing. I just adopted a 95lb dog who wasn't leashed trained and before this arrived I was starting to get upper back &amp; elbow problems from yanking on her collar. This is life-changing for both of us. My only reason for not giving 5 stars is that it took 12 days from when I ordered to arrive (and I paid for shipping) Great product-- It is definitely worth the price. Amazing product! We recently adopted a 5-year Beagle who was a terrible puller. The first time we used this product, the pulling stopped. It's as if we have a totally different dog! 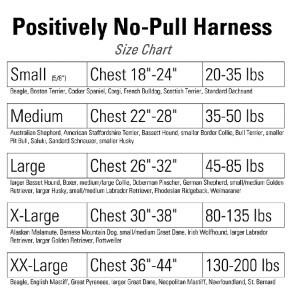 We tried another name brand no-pull harness which ended up sideways on the dog because there was no way to adjust the front of the harness. He almost got out of the harness while we were trying to put it back into the correct position. We returned it the next day and immediately ordered Victoria's product. Thank you, thank you, thank you! This is the best harness we have purchased so far. So easy to get on and off! 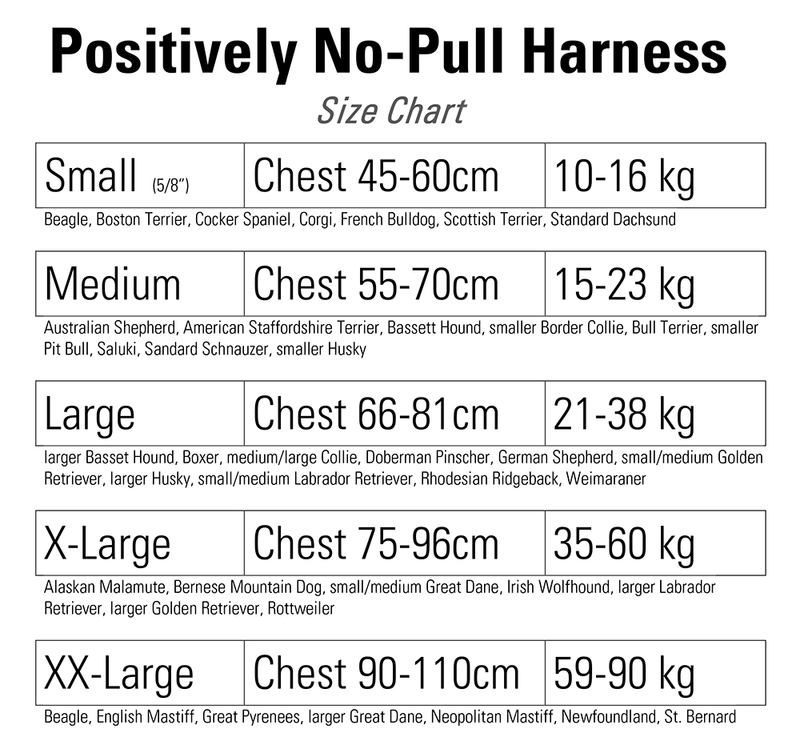 Absolutely NO pulling on my dog's neck and I feel a little more control. Harness is working well for my 8 month dog. She still pulls when she gets excited but is doing so much better. OMG I purchased the xlarge for my two Labradors. One is 6 and the other is 3. They were raised in the country and never needed leads before. I recently moved back to the city. Walking them was impossible because the were so lead resisdent. 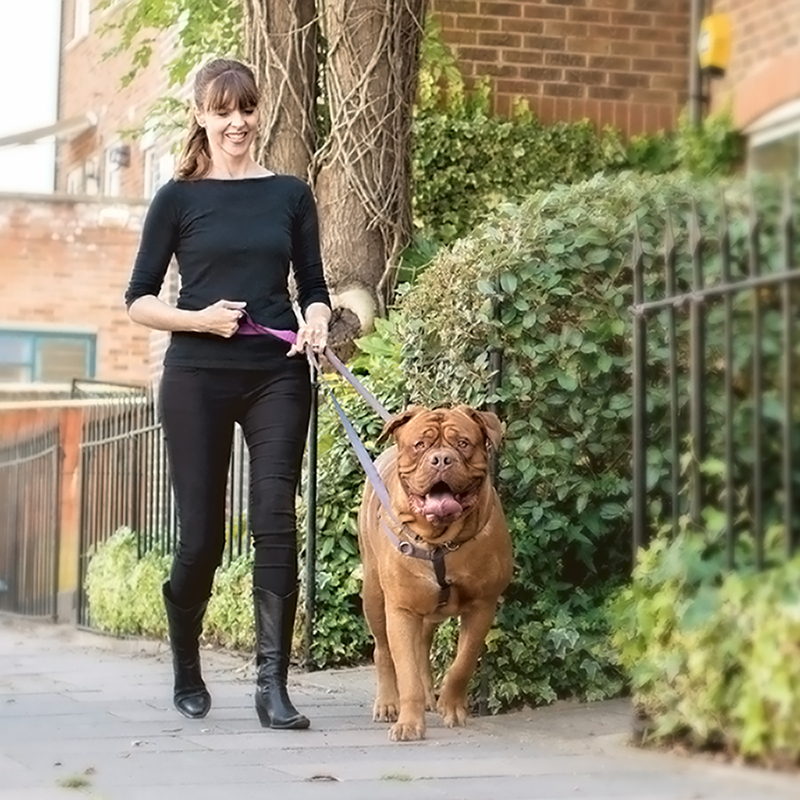 I have tried every product out there but finally thanks to Victoria I can now walk my dogs. It was almost immediately that they responded. We both can now enjoy our walks. I'm walking them they're not walking me. Thanks for this great harness. Blaise Pax and myself can't thank you enough. My pup acted like a bucking bronco when I put the harness and training leash on. After she figured out she wasn't in control, it was awesome. She pulls a bit but nothing like she did. Great products! Thanks!